A company that provides STEM professional development and classes has launched a new course intended to teach students how to program using Minecraft and Python. Python Temple, from BrainStorm STEM Education, invites students to take on the role of "codeologist" in a Minecraft adventure game and use Python coding to solve various challenges. Minecraft is, of course, the wildly popular online platform that enables users to create and explore virtual worlds using small blocks. Python, an open source programming language, has a reputation for being friendly and easy to learn. At each stage of Python Temple, the student learns a new concept, such as sequential programming, variables and conditional statements. The company undertook development of the game in order to "create a course where coding became an integral part of the gameplay experience," said Darren Jones, BrainStorm CEO, in a prepared statement. 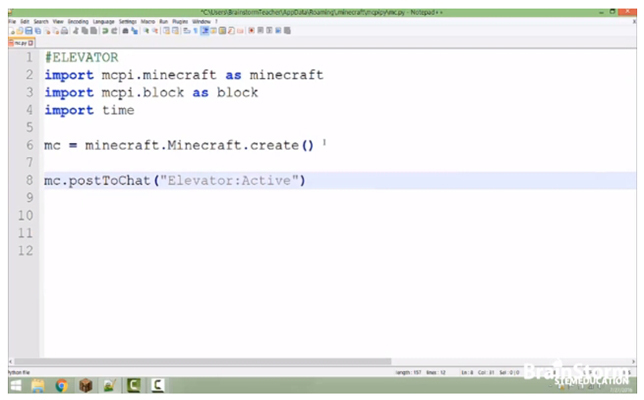 The result "is the most captivating and educational coding experience possible." After downloading and installing the program, users embark on a journey where coding becomes the key to survival. Students watch online videos to learn about the code they'll be creating. The course offers three hours of instructional content broken up into 20 videos. On average, said Devon McLaren, operations manager, a student will spend about 15 hours of time going through instruction and coding. "Once the students complete the gameplay missions, they can continue on their coding adventure using the knowledge they’ve gained in the course as they have access to the map for over a year," he added. The price of the course is $199 through the end of 2016 for individuals. For schools, licensing is done on an annual subscription and varies by number of users (typically $99 per computer).